Taurus Limited, Ford Certified Pre-Owned Certified, Tuxedo Black Metallic, Charcoal Black w/Heated & Cooled Leather Trimmed Bucket Seats, ONE OWNER! CLEAN AUTOCHECK!, 20"" Polished Aluminum Wheels, 2nd Row Heated Seats, Adjustable Pedals w/Memory, AM/FM radio: SiriusXM, Auto High Beam/Rain Sensing Wipers, Auto-Dimming Driver Side Mirror, BLIS Blind Spot Information System w/Cross Traffic Alert, Equipment Group 301A, HD Radio, Heated & Cooled Perforated Leather Fr Bucket Seats, Heated door mirrors, Heated front seats, Heated Steering Wheel, Illuminated entry, Limited Branded Front Floor Mats, Memory seat, Navigation System, Power Moonroof, Power passenger seat, Power steering, Rear Power Sunshade, Sony Audio System, Speed control, Steering wheel memory, SYNC w/MyFord Touch & SYNC Services, Trip computer, Ventilated front seats. Certified. 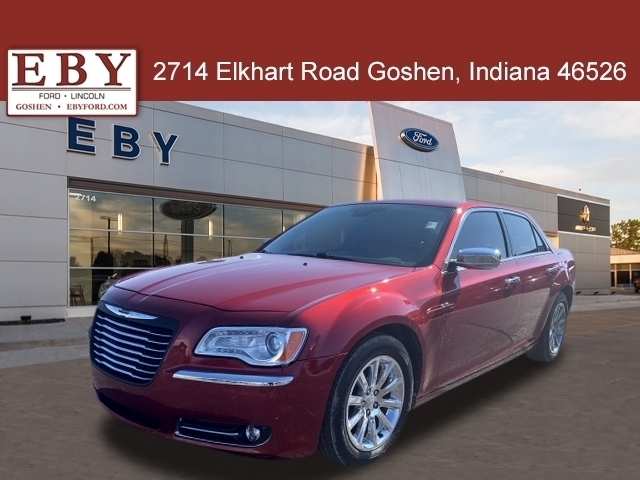 * 2014 KBB.com Brand Image Awards At Eby Ford Lincoln you buy at the lowest Live Market Prices and then skip the negotiating and waiting game. The Live Market Price is the lowest market price because we monitor hundreds of competitor's websites daily to ensure you buy at the most aggressive, lowest price. Call (574) 534-3673 for more information.